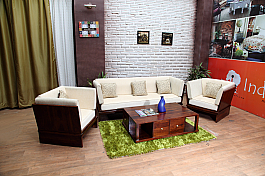 Let the interior decoration of your abode ooze dollops of style and class. 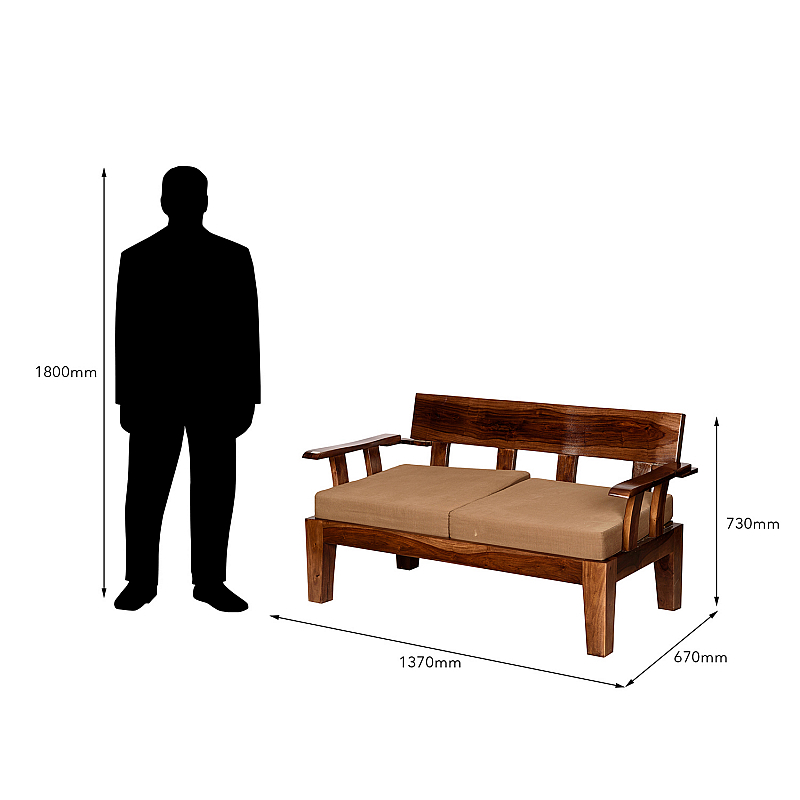 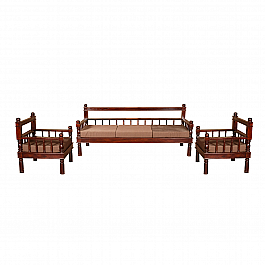 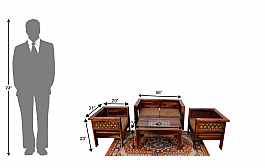 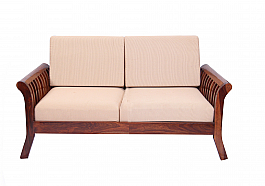 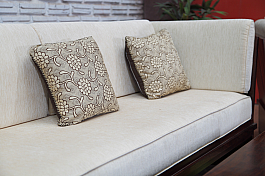 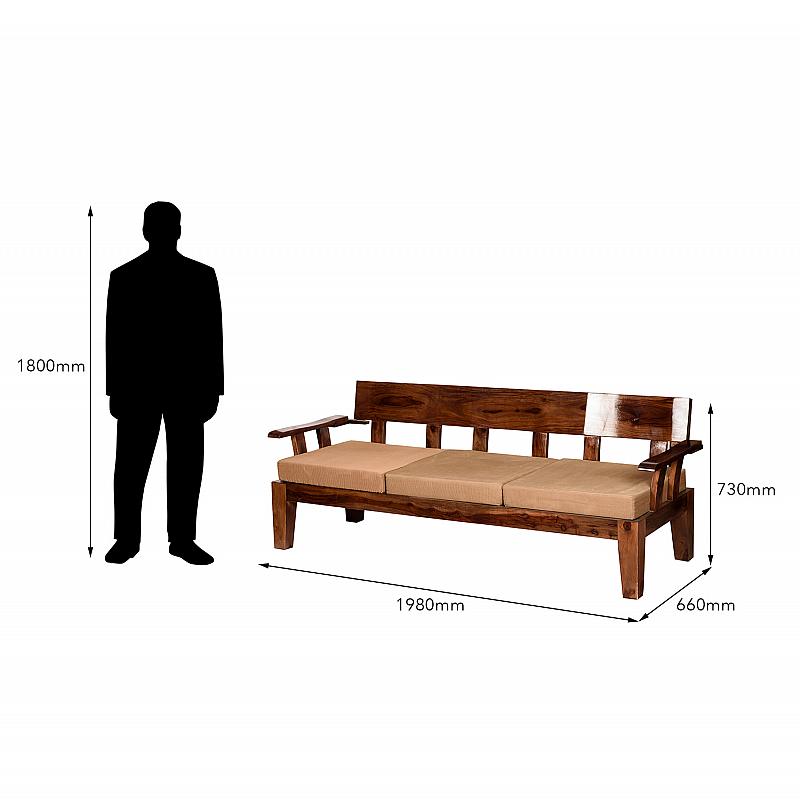 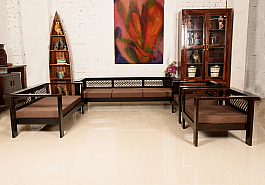 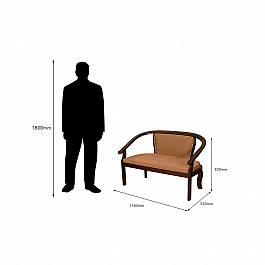 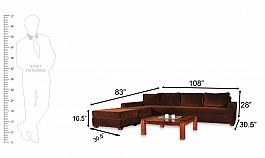 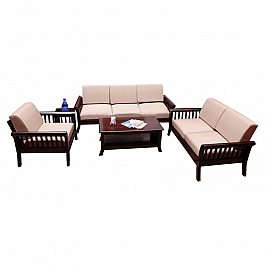 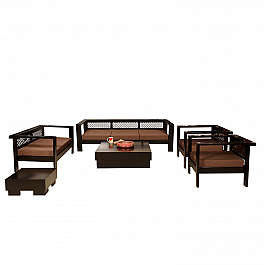 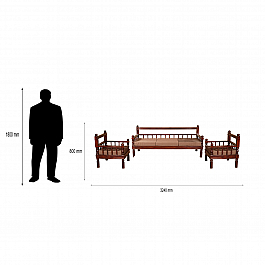 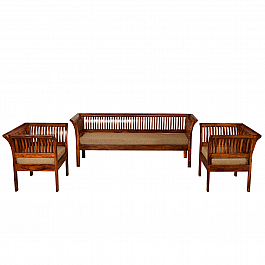 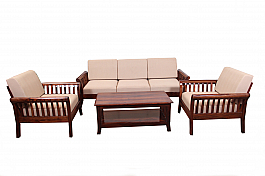 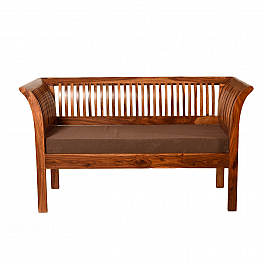 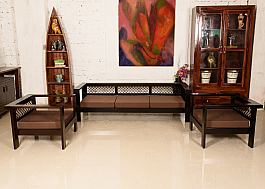 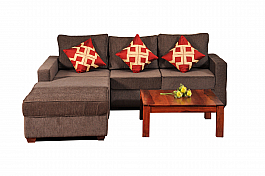 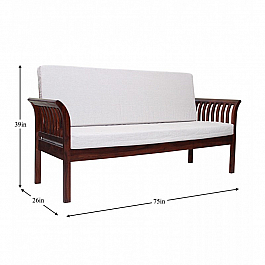 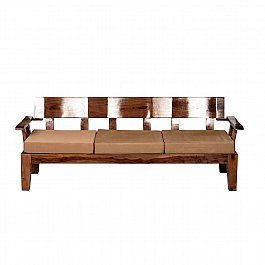 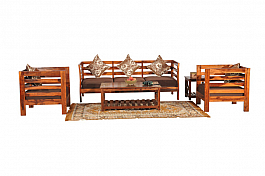 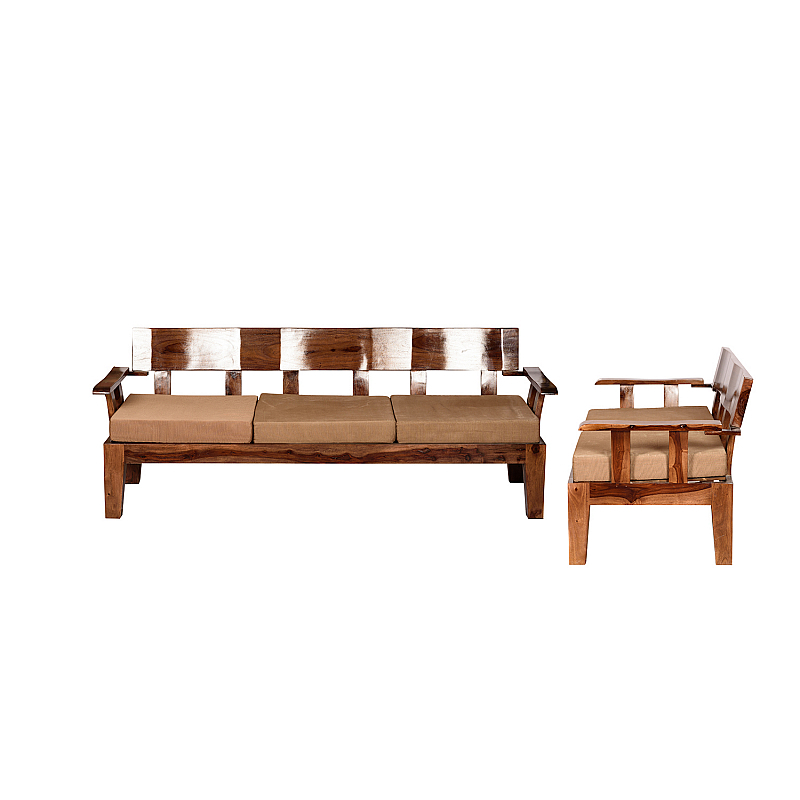 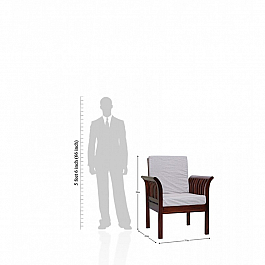 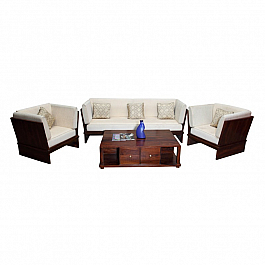 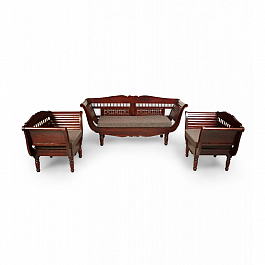 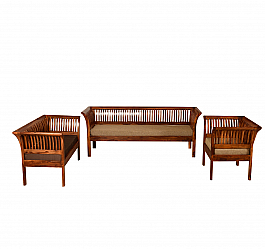 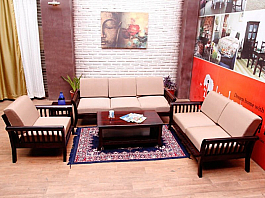 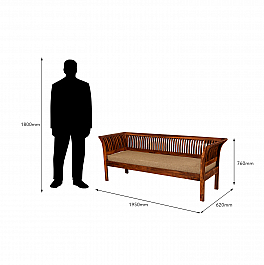 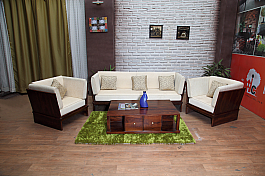 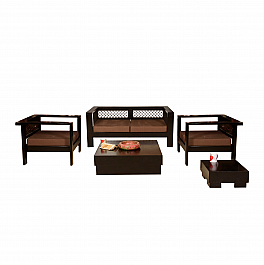 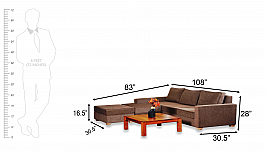 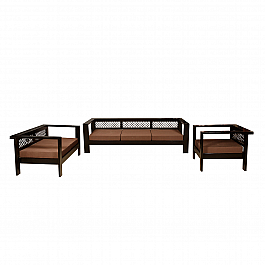 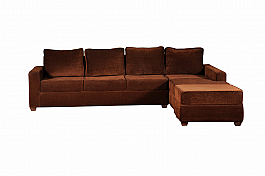 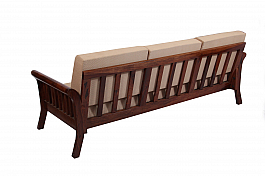 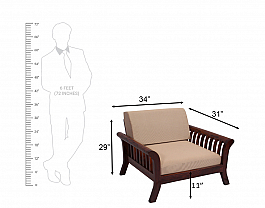 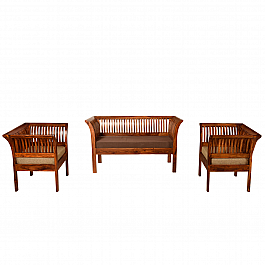 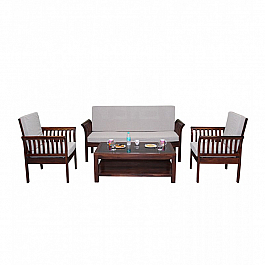 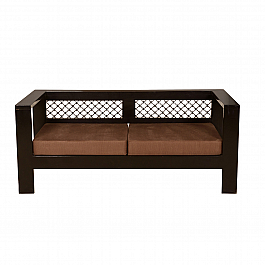 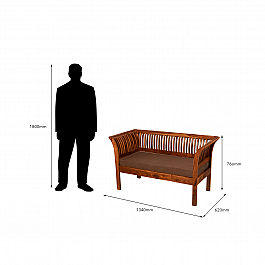 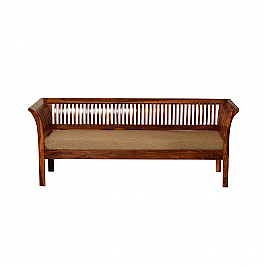 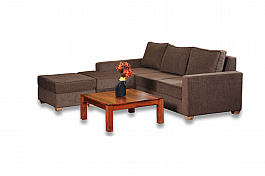 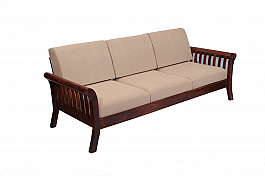 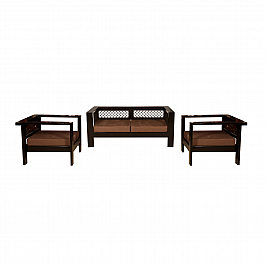 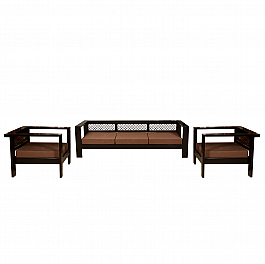 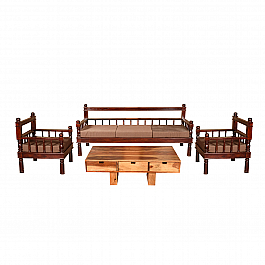 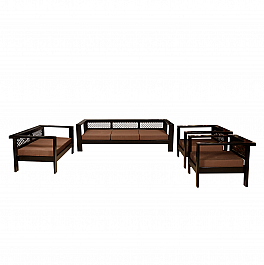 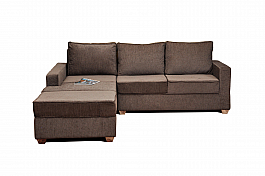 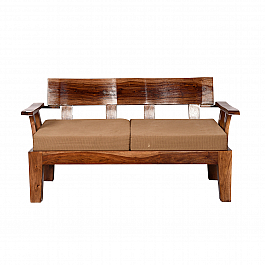 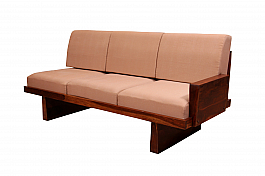 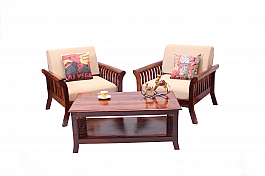 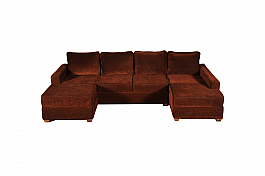 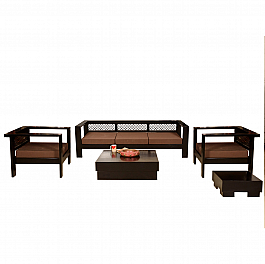 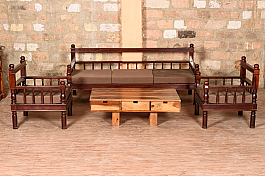 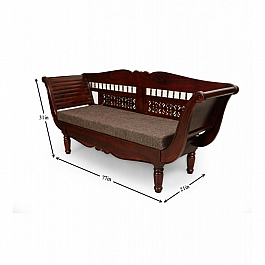 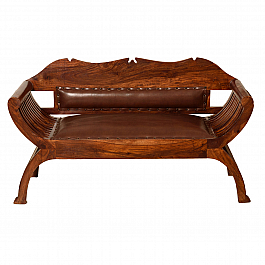 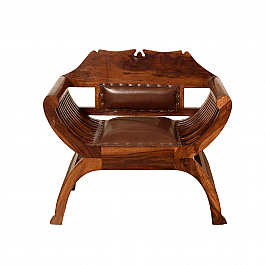 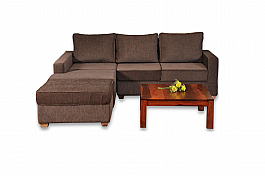 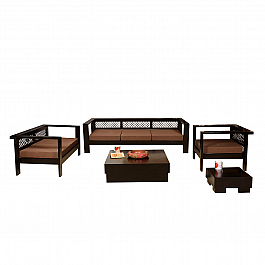 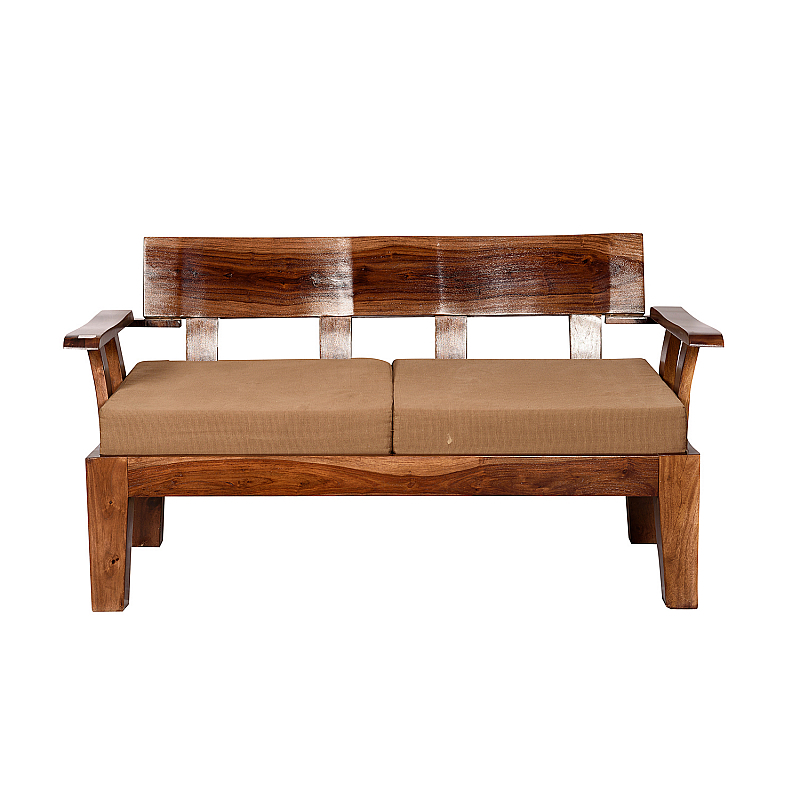 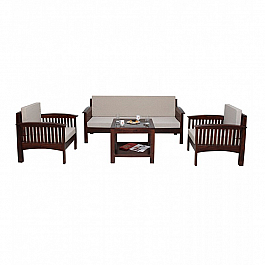 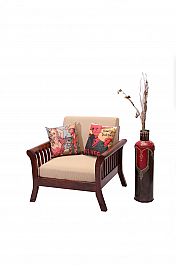 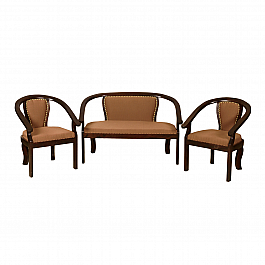 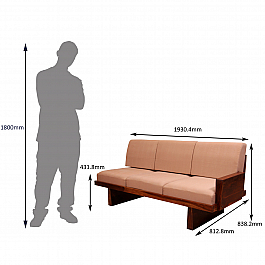 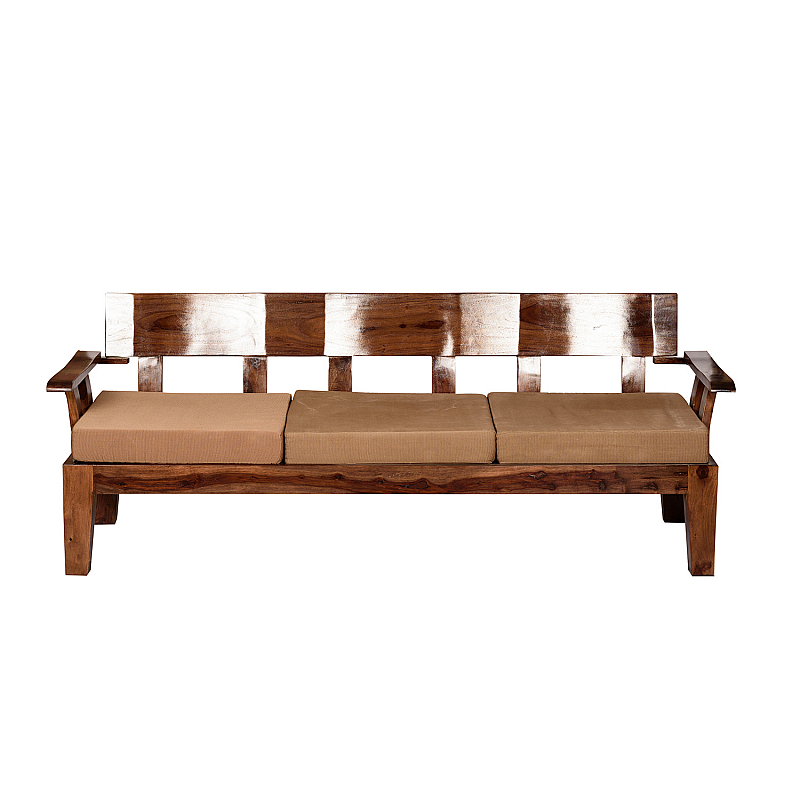 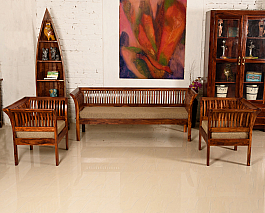 Get this 5 seater sofa set from Induscraft and lend a luxurious feel to your drawing room. 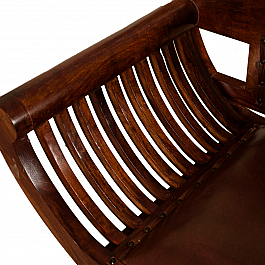 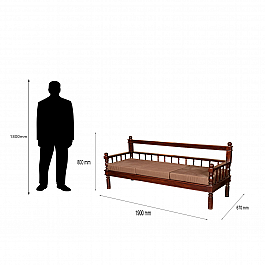 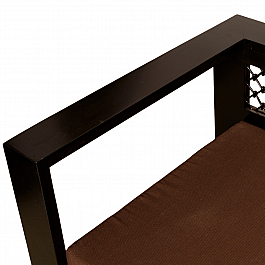 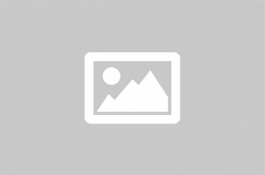 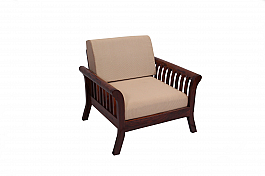 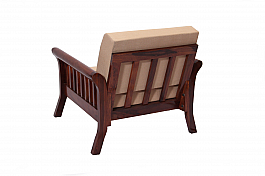 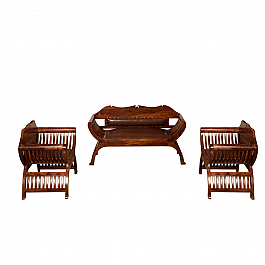 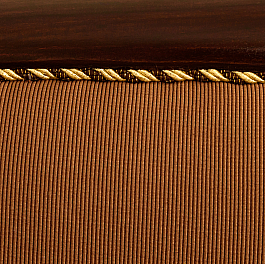 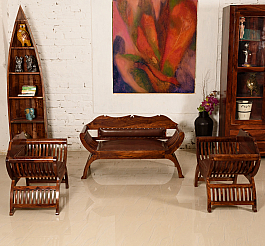 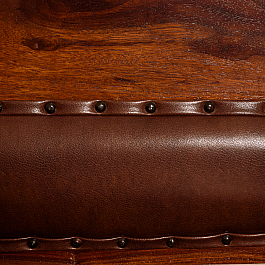 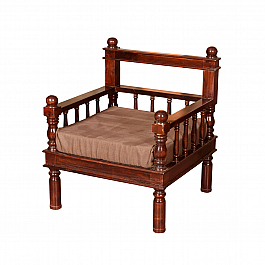 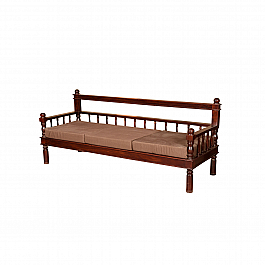 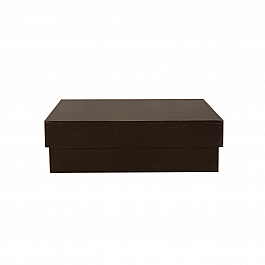 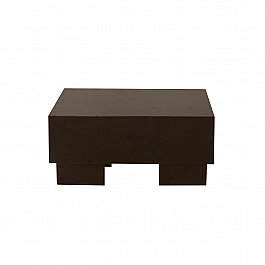 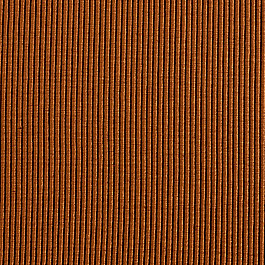 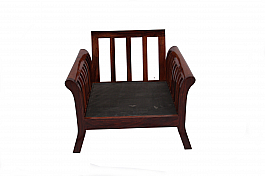 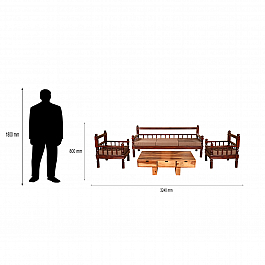 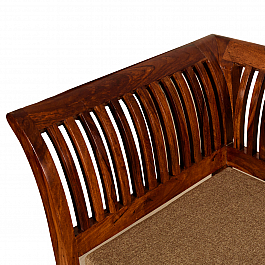 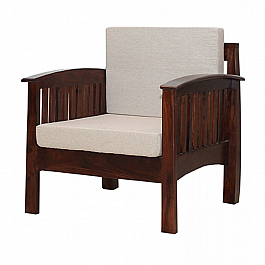 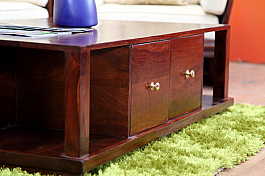 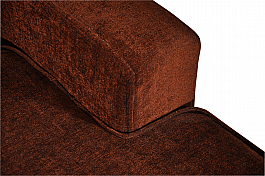 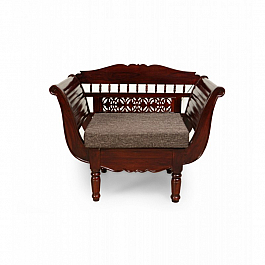 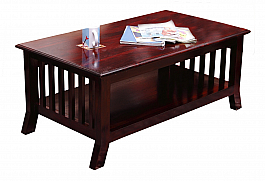 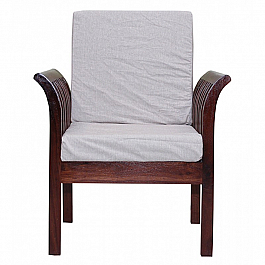 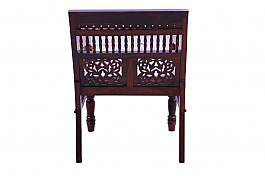 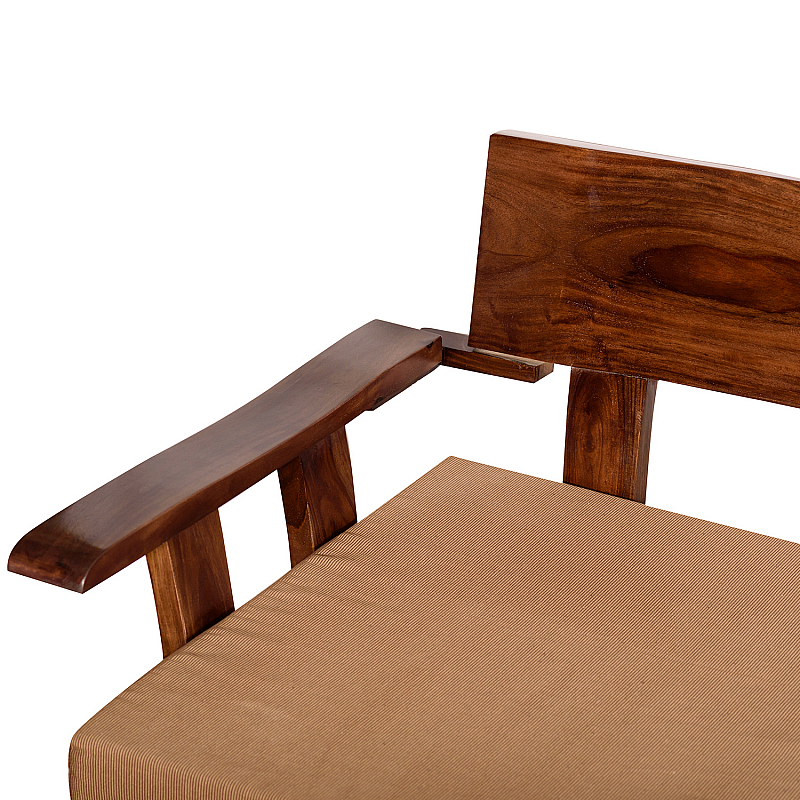 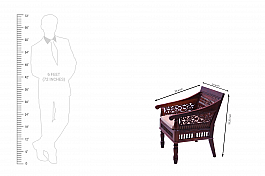 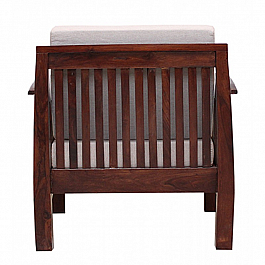 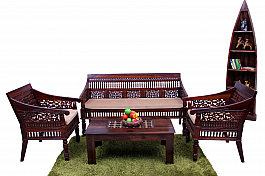 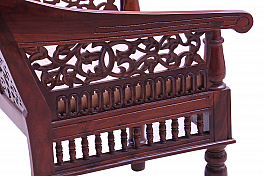 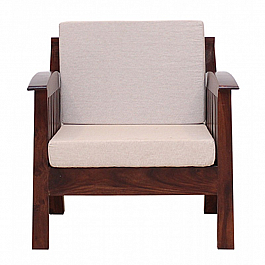 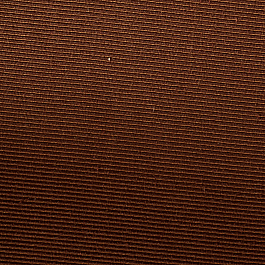 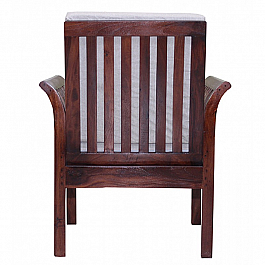 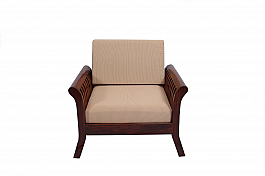 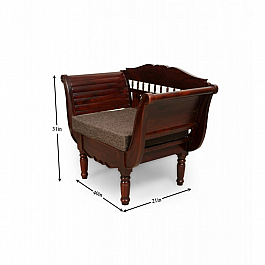 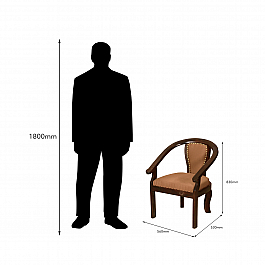 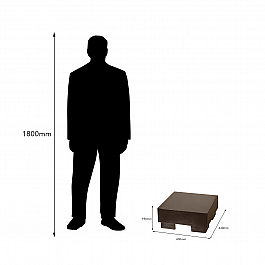 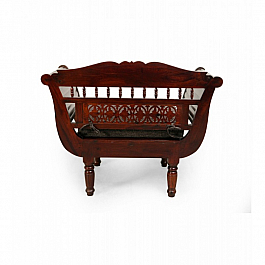 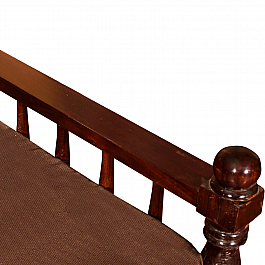 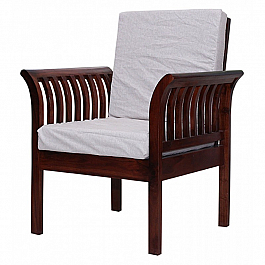 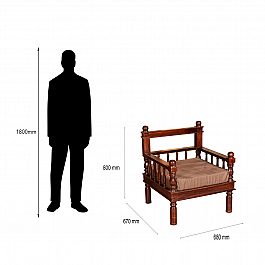 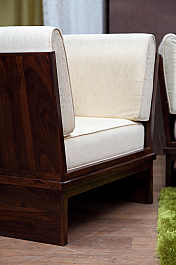 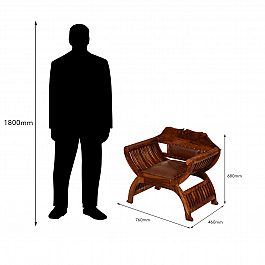 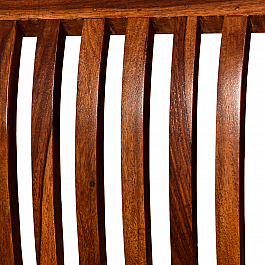 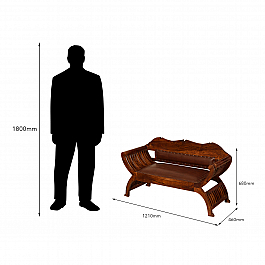 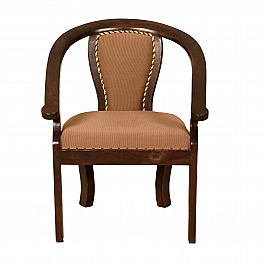 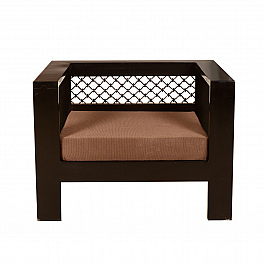 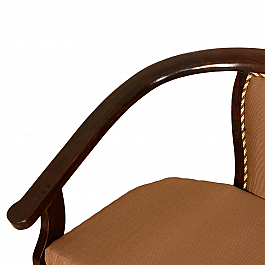 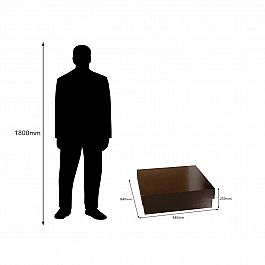 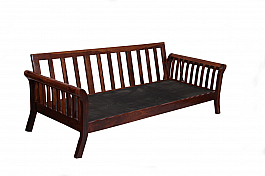 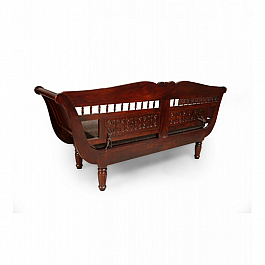 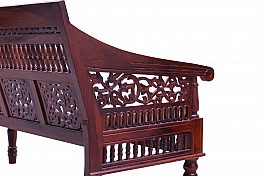 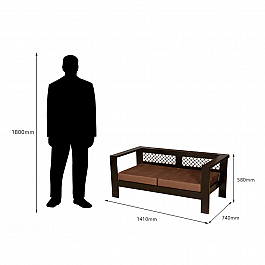 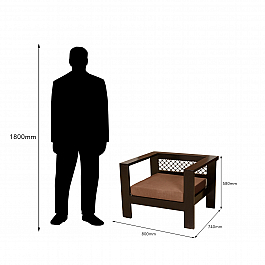 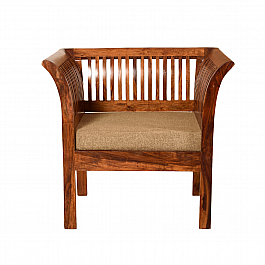 The seasoned and treated sheesham wood offers maximum durability. 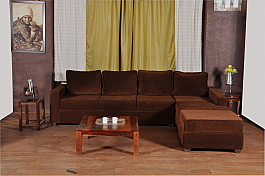 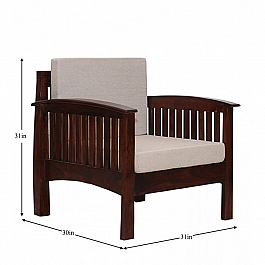 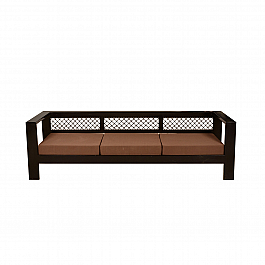 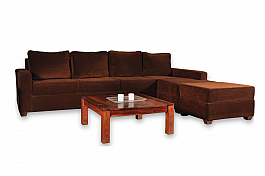 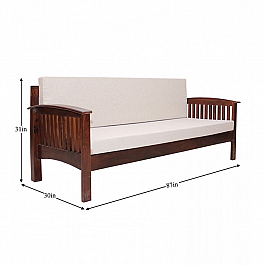 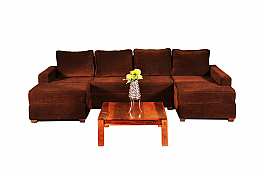 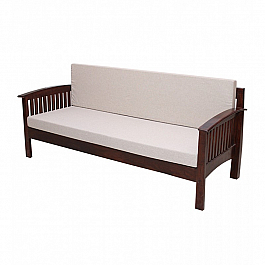 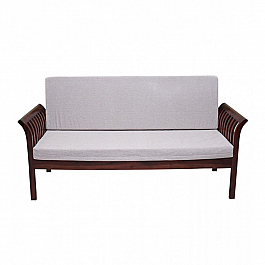 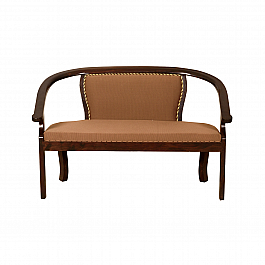 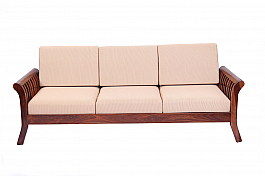 The classic dark brown wooden structure with minimal design and an impeccable upholstery in beige colored fabric makes this sofa set truly worth buying.